On 1st April 1918 the Royal Flying Corps and the Royal Naval Air Service merged to create the Royal Air Force. The year 2018 has seen many celebrations to commemorate the RAF's 100 years and this year's Royal International Air Tattoo was no exception. 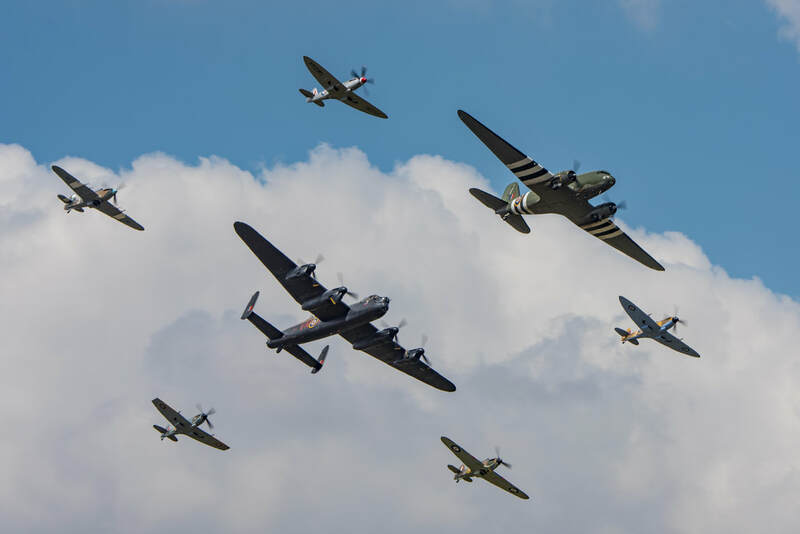 After many weeks of a long dry hot summer the weather conspired to put a dampener on the proposed RAF 100 flypast scheduled for 13 July 2018, when storms gathered in the area of Fairford at just the time the flypast was due. The inevitable cancellation came shortly after, the joys of the UK's weather had once again put paid to a special event that had been many months in the making. However, all was not lost as on the 14 & 15 July the RAF 100 section of the airshow went ahead and produced some superb formations of the like that we are unlikely to see again in the near future. 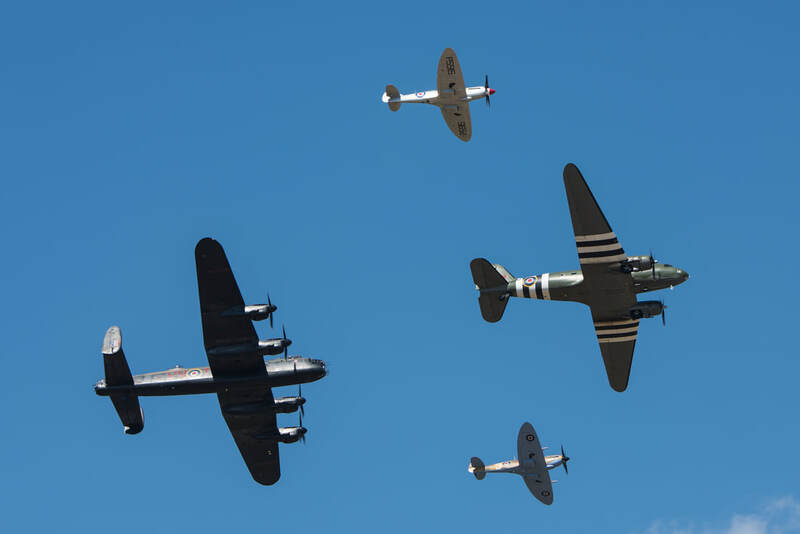 The Trenchard Plus Formation displayed for one day only at RIAT 2018 and is seen here on 14 July 2018. Bomber Formation 15th July 2018. Triplex Formation displayed on both weekend days with nine Typhoons flying from RAF Coningsby in Lincolnshire. 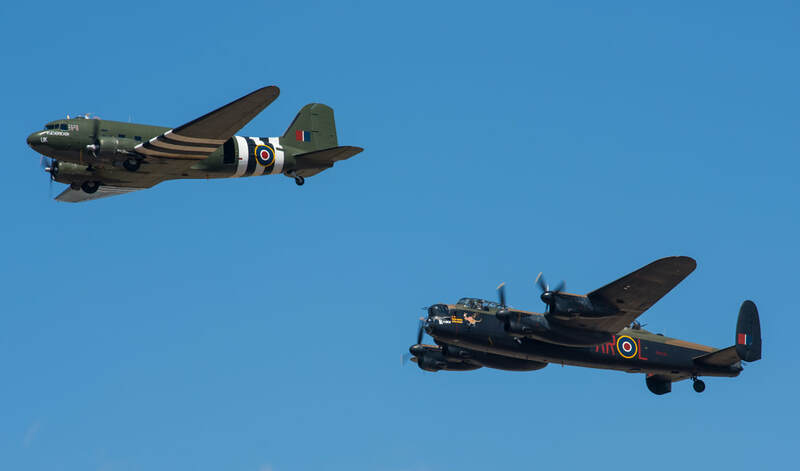 No 617 Squadron Formation flew on both days to commemorate the 75th anniversary of the Dambusters Raid which took place on 16/17th 1943 under the command of Wing Commander Guy Gibson VC DSC & Bar DFC & Bar. 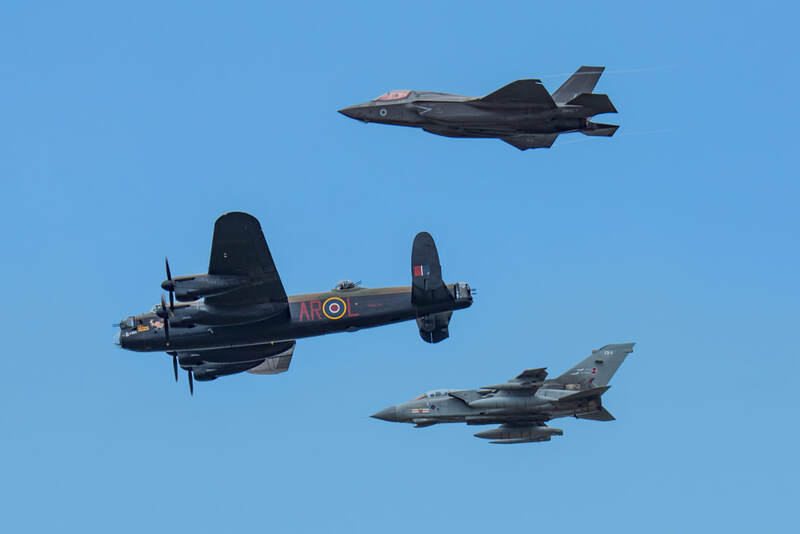 The formation featured aircraft that had been used by No 617 Squadron over the preceding decades as well as the introduction of the Lightning, which will equip the newly reformed 617 Squadron. 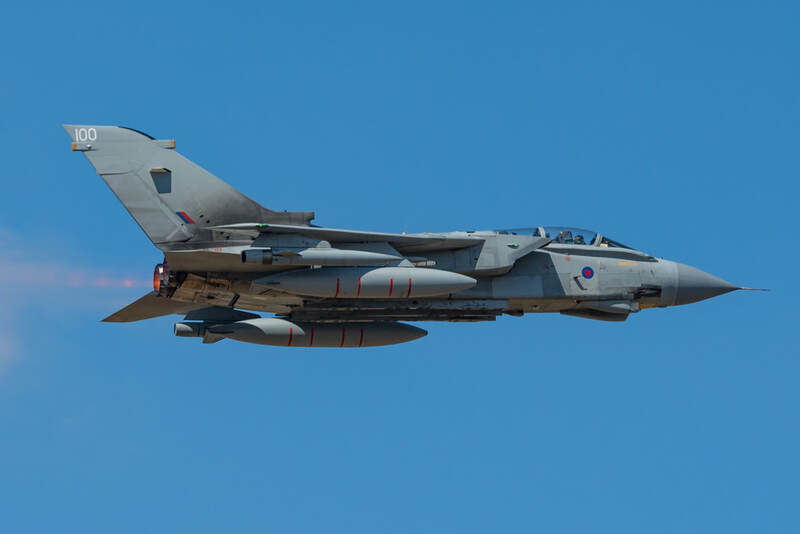 The Tornado GR.4 will shortly retire from RAF service after over three decades of service in fighter and ground attack variants. 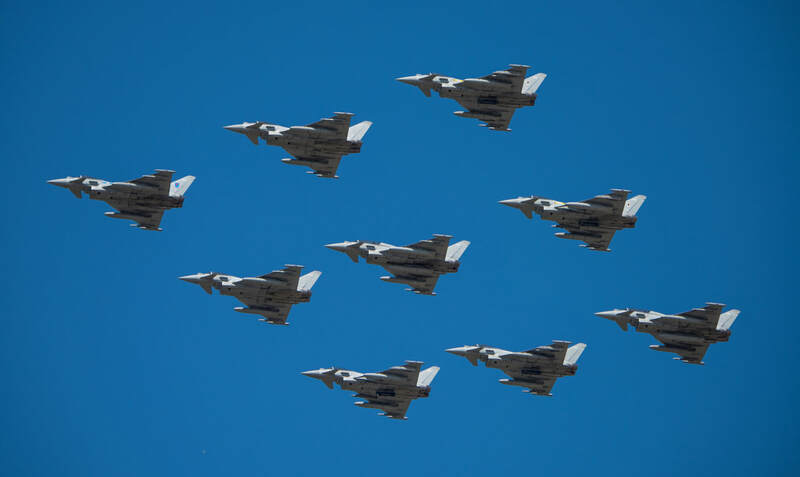 The No 617 Squadron Formation flew on both days of RIAT and after its conclusion the Tornado element flew a fast flypast. Pictured below is Tornado GR.4 ZD972 of No 31 Squadron RAF Marham during its fast pass of 15 July 2018. This was to be the last time an RAF Tornado displayed at RIAT. 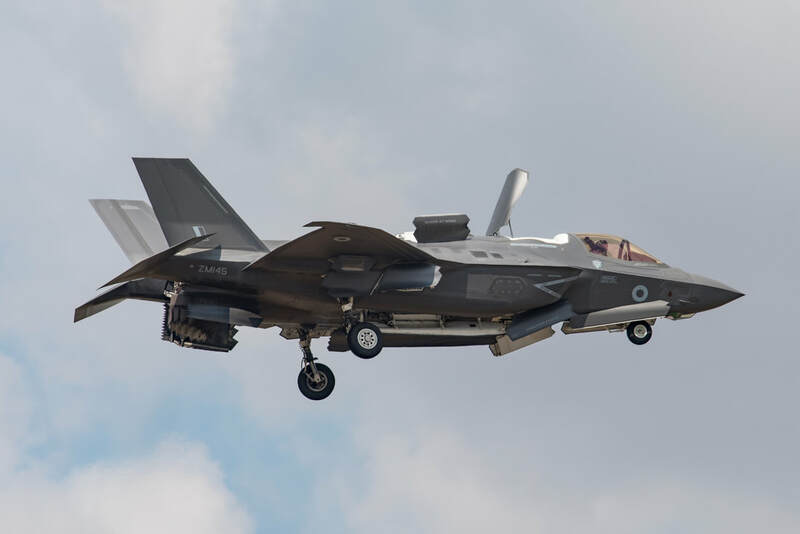 Making one of its first airshow appearances Lockheed Martin F-35B Lightning II ZM145 cleans up after a hovering demonstration performed at the culmination of the No 617 Squadron Formation flypast.